The memories swirled round her flowered head: spring breezes, visits from bees and beetles, hummingbirds thrilling by, the chill of the night and the welcomed dew on the dawn. Most of all she remembered growth. It was sweet. Today, the fresh fragrance of growth springing into bloom has been replaced by a deeper, warmer, earthier smell that comes from below. The heat of the sun is the only force that is familiar. But the sun’s rays no longer caress, instead they beat down unrelenting on all those who lay together; the wreckage of man’s conquest of the field. 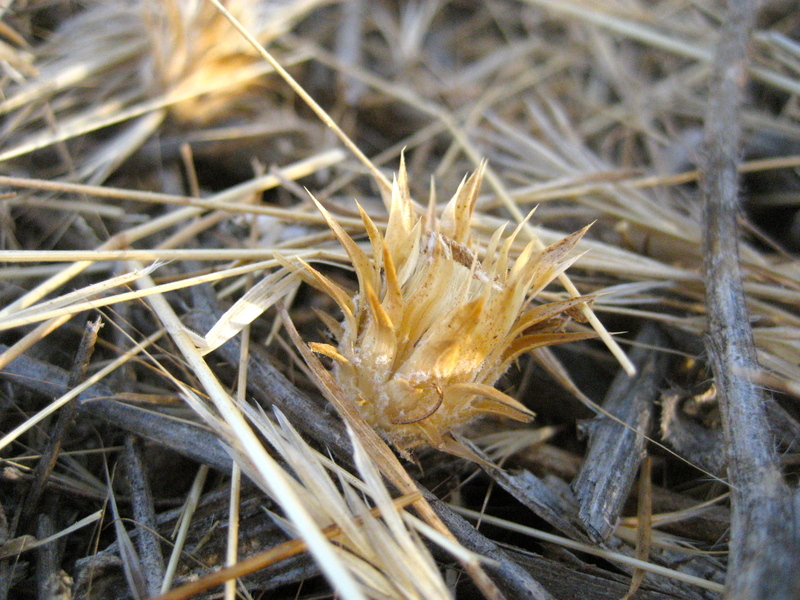 Dried fragments; thorns and stems and leaves that crumble are the bed of the flower laid low. A harsh environment without color. Rough at first, yet still there begins to be a softness to her companions as they adjust to their new roles as nurturers of the soil and insulation for fledgling sprouts that might have the good luck to have timed their eruption so well. For now, gone are the dangers of the cutting blades and ripping rakes and disregard for blooming beauty. All that remains are the companions on the ground that harbor still a need to protect growth and a love of beauty. And so in homage to life and all its stages they present to the visitor this thimble of gold – a memory of growth.